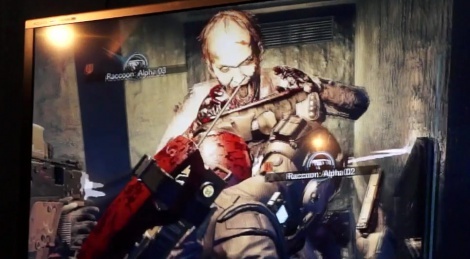 Umbrella Corps is one of the rare surprises of this TGS, so it was another surprise that Capcom allowed us to film it, running on PC. That looked freaking boring as hell. Interesting about the pc info/footage and all. I have to say though, they've fully transformed RE into a TPS with this one. :( I was curious to see what the direction this game would be, it doesn't look too bad it's just even lesser of RE. At this point i'm not sure if i'll be anticipating their RE2 remake. I cringe at the thought of the game losing it's gritty solitary roots. Though that was by SOCOM devs, no idea if this is Capcom or not but whatever, looks boring. Looks like a completely generic subpar TPS. They're not even trying anymore. I've said it before and will say it again. Capcom is going the way of Sega. This game looks like hot crap. Why would you even make this garbage when you have a series in Onimusha that is screaming for a new game. 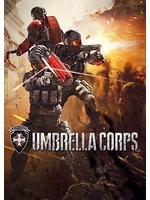 As a guy who liked Raccoon City, I'm still skeptical to the Umbrella Corps. This game is so generis, it's not even funny. Awful, to say the least! At first I was thinking--OO this is kinda cool. Then slowly wondering wtf this have to do with Resident Evil? Then I saw that "KILL THEM ALL" round header and gave up hope for this game. What were they thinking? WTF happened to Resident Evil? IF i wanted to play call of duty I buy that garbage.